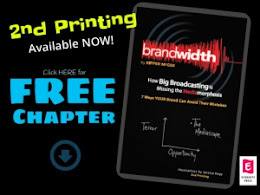 Brandwidth On Demand: Episode #009 - Entercom's BRIAN KELLY on Hiring Your Next Boss...and More! 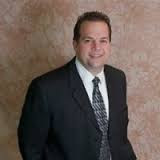 Episode #009 - Entercom's BRIAN KELLY on Hiring Your Next Boss...and More! 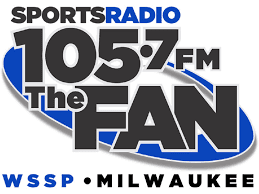 Brian Kelly, a longtime radio vet, has spent the last 20+ years at Entercom-Milwaukee, where he currently serves as Vice President of Operations at Top 40 KISS-FM (WXSS), Hot AC WMYX (The Mix), and SportsRadio 105.7 The Fan. He also advises Entercom stations in other markets. Previous successes include WTMX, WLS and WFYR all in Chicago along with notable stops in other Midwestern markets. In this wide ranging interview, Brian shares tips for 'hiring your next boss' and moving up within a good company, both skills at which he has excelled. He also offers exceptionally solid tips for newly-minted PD's and Managers, as well as some "Things he knows NOW that he WISHES he'd known THEN!" the art, nuances and preferred TOOLS of music scheduling. Every success begins with carefully defining the objective. Whether you want to be the #1 morning show or the #1 station in your target demo, the starting point is clearly stating the objective. Don’t confuse activity with progress. You need metrics, measures which provide you with an indication of where you are in relation to your objective. Progress is made when your activity closes the gap between where you are and your objective. The best approach to getting to your objective involves learning how to fail faster – discovering what’s working and what’s not – and being resilient, changing up your game and monitoring results. Staying focused on the gap rather than the objective will influence your activity and help you achieve your objective in a more effective and efficient way.